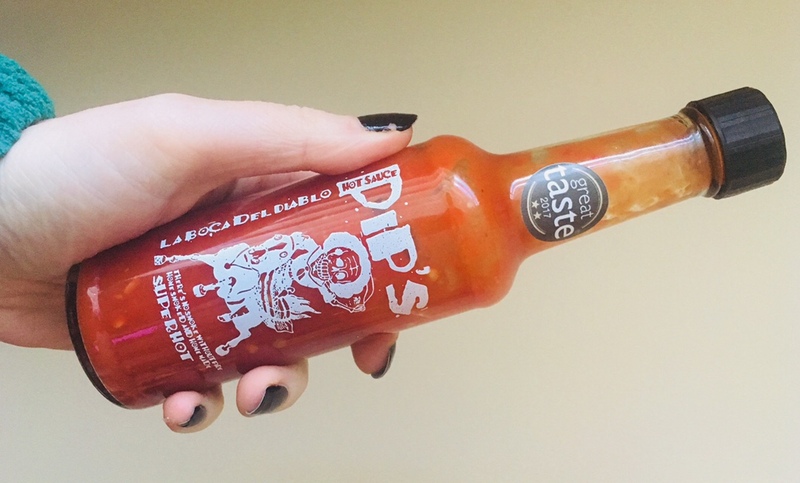 I’m not sure if I’ve mentioned it this week, but I love Pip’s Hot Sauce. Made here in Birmingham, there’s a few variations of the hot sauce now, but I remain a firm fan of the original Super Hot recipe. It’s tasty, tangy and multilayered with chilli and spices, making it ideal for cooking with as well as using as a dip. I don’t know how many bottles of this stuff I’ve bought from Independent Birmingham festivals or Anderson and Hill in Great Western Arcade over the years, but it’s a lot. I’m also very lucky to be able to call the lovely lady (unsurprisingly called Pip) behind my favourite condiment my mate, and she’s one of the nicest people I’ve ever met. She works hard to make a great product and she really appreciates the local support when people choose to buy independent. 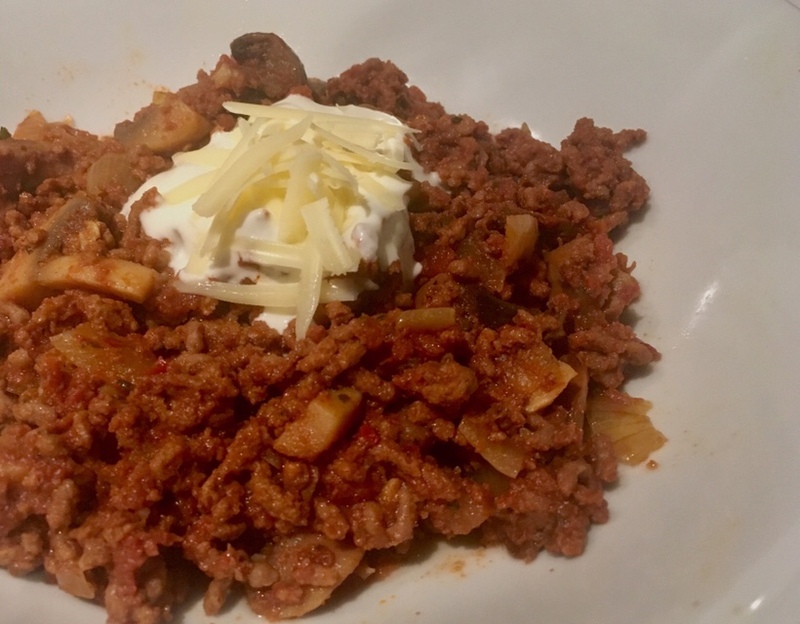 I currently have around 6 bottles – in its various incarnations – in my condiment cupboard (yeah, I have one) and recently I used some to make a bloody brilliant beef chilli. My husband liked it so much I decided to give it a name and share it with you. It’s ideal for the upcoming chilly winter months and clearing head colds, plus it’s super easy to make. 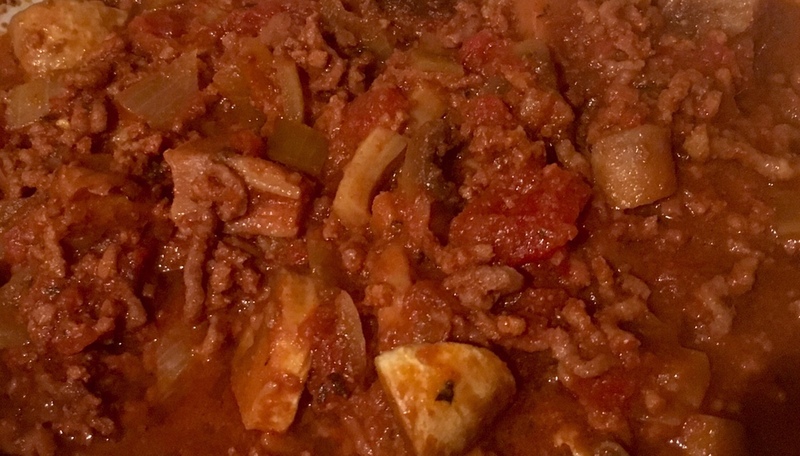 I use a slow cooker for this, which creates a much better flavour and is ideal if you’re a lazy git, like me. 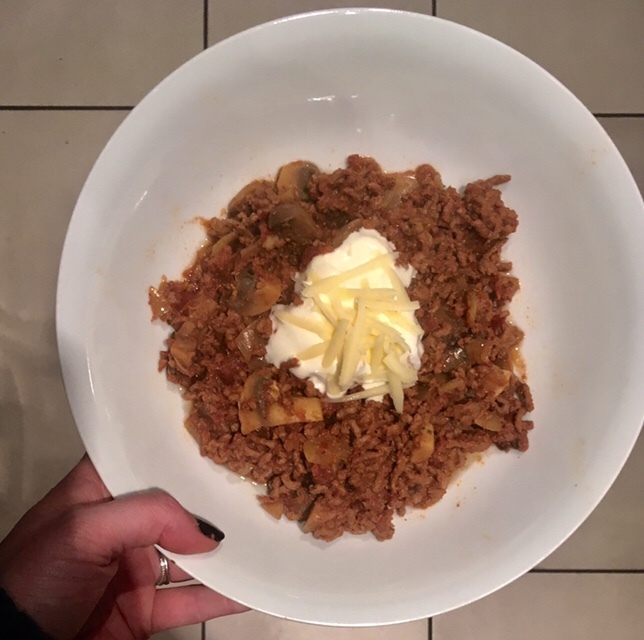 Throw all the below in before you leave for work in the morning and 8 hours later you have the most insane chilli for dinner. Enjoy! 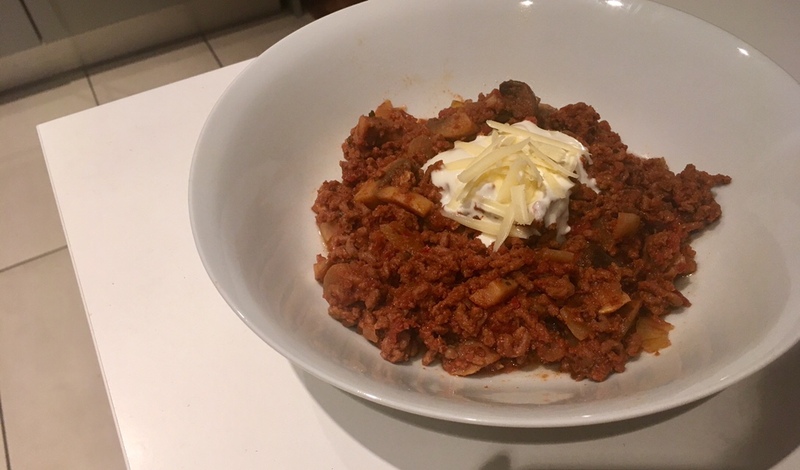 Optional kidney beans, sour cream, grated cheese. Brown the mince and sweat the garlic, chilli and onions until soft. 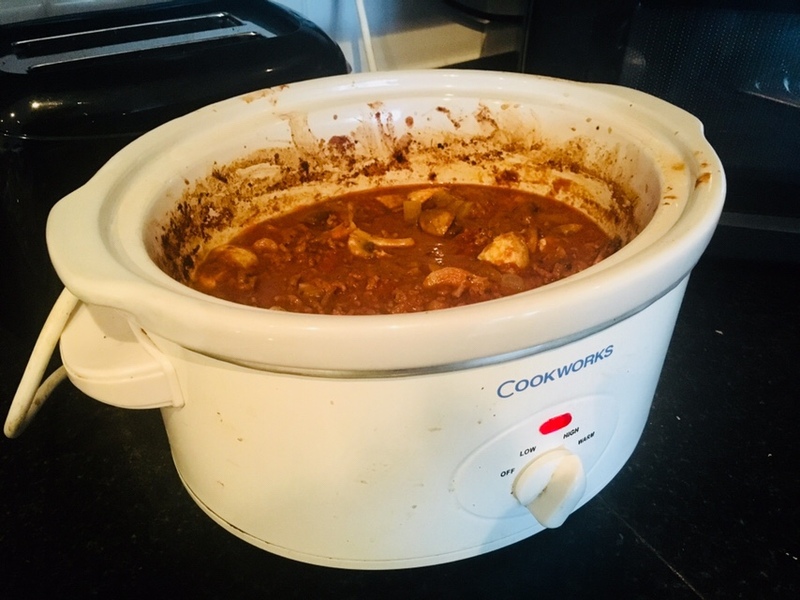 Add all to the slow cooker on low heat, adding in the spices, mushrooms and Pip’s sauce. I cook mine for 6 – 8 hours, but anything from 3 will do. The inside of the slow cooker will look a mess but the chilli tastes cracking. Add the drained kidney beans 10 minutes before serving, if you’re using them. Serve with rice and a dollop of sour cream and grated cheese. Bliss. Disclosure: I paid for all ingredients in this recipe. 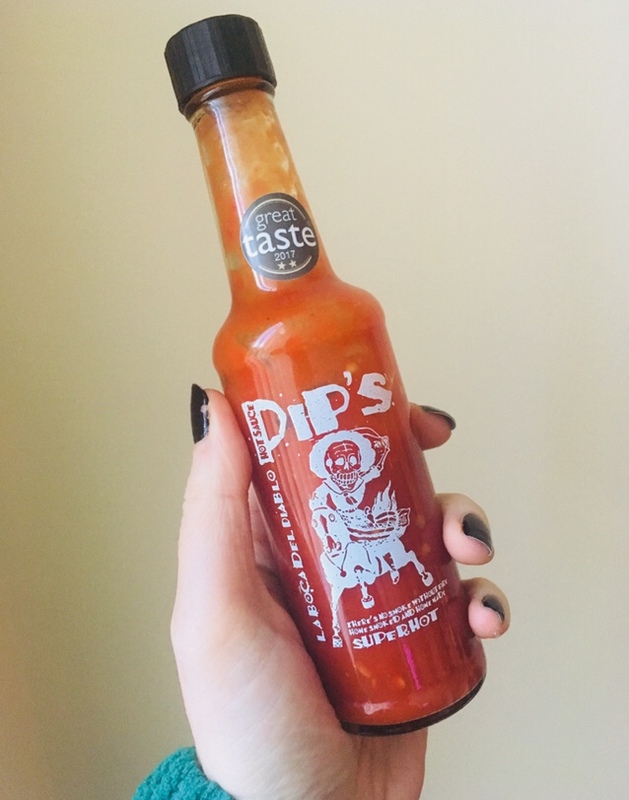 This isn’t a sponsored post and I have no affiliation with Pip’s Hot Sauce – I just really like it.